You are free to name in your will anyone as your executor. Because he will be handling your estate, this person should be someone you trust. After your death, your will must be filed in the probate court in the county where you lived. At that time your named executor or your attorney will also request a court order, formally appointing the named executor as personal representative. If your executor is not an Iowa resident, the court must approve the appointment and will require an attorney or court clerk to serve as a resident agent for service of process of notices and court documents. Once appointed, the executor will swear an oath to the court, affirming that he will serve in accordance with Iowa law as he settles your estate. After being affirmed, the executor's first job is to collect and inventory all property in the estate. At this time, the executor should open a separate estate bank account. All funds in the deceased's bank accounts should be transferred into this estate account, and no non-estate funds should be commingled with it. Under Iowa probate law, the executor must submit a complete inventory of all estate property, as well as the value of that property, no more than 90 days from the date of appointment. An executor must be diligent in keeping records of all property in the estate, all payments made from estate proceeds and all funds received into the estate from debts owed to the deceased. The executor is responsible for notifying all beneficiaries of the estate and any creditors who must be paid before assets are distributed to beneficiaries. The executor must also file federal, state and estate income tax returns. Once all debts, fees and taxes are paid, the beneficiaries can receive their inheritances. The executor should distribute the estate assets in accordance with the deceased's will. A final accounting is submitted by the executor to the probate court so the estate can be closed. The executor owes a duty to the deceased and the beneficiaries to act with care when probating the estate. This primarily means he must act in the beneficiaries' best interests as a whole, not putting any one beneficiary first, and especially not acting in his own self-interest. For example, the executor cannot authorize the sale of the deceased's home to one beneficiary for significantly below appraised value, because this undermines the interest of the other beneficiaries named to receive the proceeds from the sale of that home. Care is especially important when it comes to investing estate assets. 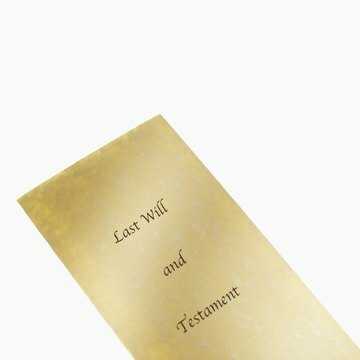 The will may authorize what investments, if any, an executor can make with estate assets. Iowa probate law limits an executor's investment power. If an executor does invest estate assets, he should consult a financial advisor and avoid all risky or speculative investments. If a beneficiary has reason to believe the executor has violated any duties, she can ask the court to remove the executor. The court will review the executor's actions and removal will occur if the duty of care has been breached. Iowa law permits executors to receive compensation for all the time and effort they spend probating your estate. An executor can receive a fee of up to 2 percent of the value of the estate as provided by Iowa law. However, an executor can request additional compensation based on the size of the estate, the time spent and the overall complexity of the estate. A court may also lower compensation based on any losses the estate suffered due to the executor's actions, including making bad investments. One thing to consider is that the fee is taxable income to the executor. If an executor is also a beneficiary, he may wish to waive the executor fee because he will likely receive at least that much, if not more, as an inheritance, which is tax-free.